A playing card is selected from the deck. The card is shown front and back before being placed in the magician's outstretched palm. 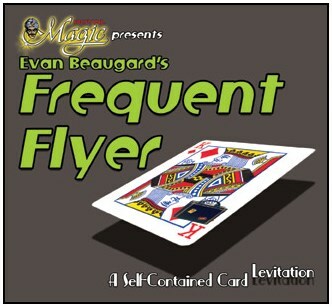 Upon the magician's command, the card begins to float above the hand. The magician then pushes the card back down onto his hand. Finally, he hands the selected card out for examination. Comes complete with special gimmick and detailed instructions explaining how to perform this gravity-defying illusion!